Just days before a stopgap spending plan expired, Governor Charlie Baker signed the state’s $41.7 billion budget Thursday — but only after lopping off millions in lawmaker earmarks and floating changes to several controversial policy proposals. The budget — the last of any state in the country’s to go into effect this fiscal year — landed on what’s expected to be just one of several frantic days before the Legislature’s formal session ends Tuesday night. Amid roll calls and debate, state Senator Karen E. Spilka, a onetime social worker and mediator turned legislator, was formally elected the chamber’s new president. Lawmakers, meanwhile, continued to chip away at their to-do list, releasing a compromise version of a bill that would automatically register thousands of new voters when they get their driver’s licenses or health insurance through the state. In signing the budget, Baker plowed new money into health care for the poor, aid for cities and towns, K-12 education, and community-based services for adults with serious mental illness. He also vetoed about $50 million in spending, including nearly 300 earmarks, and amended 19 of more than 100 policy sections tacked on by legislators. The state had been operating on a stopgap budget that kept the government running in July after legislators were late getting their final proposal to Baker’s desk. 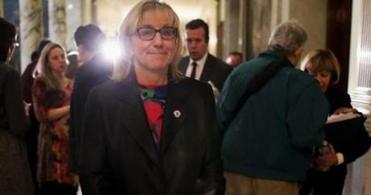 Her colleagues hope Senator Karen Spilka’s ascension will mark an end to the drama in the chamber. “Overall, this budget maintains and builds on our commitment to invest in our communities, in education, in small business, and in our health and human service programs,” Baker told reporters. Baker trumpeted the budget’s increase in the state’s Earned Income Tax Credit. That helps about 450,000 low-income working families in Massachusetts, many of which, he noted, are headed by single mothers. And the governor heralded local education aid being boosted to its highest level ever, nearly $5 billion. Unlike previous years, when state tax revenue has grown at a relatively meager rate, the Republican signed the budget amid a big windfall and ramped-up expectations for how much money Massachusetts will rake in during the fiscal year that ends in June 2019. 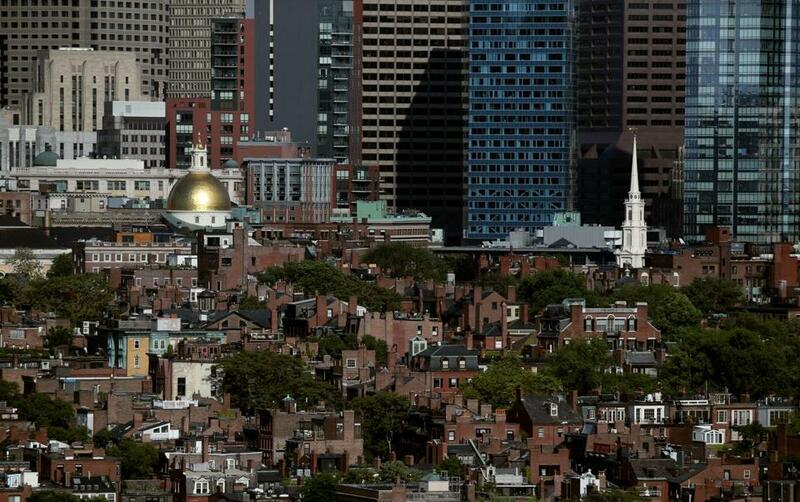 In the days ahead, there will be even more movement on Beacon Hill. Baker is slated on Friday to sign at least two bills: one that would overturn a 19th-century state law criminalizing abortion, and one that raises the age to buy tobacco to 21 statewide. Before 11:59 p.m. Tuesday, lawmakers are also expected to override many of Baker’s vetoes, restoring spending he has sliced — a tradition in the Democratic-controlled chambers. Last year, Baker vetoed $320 million in spending, and lawmakers overrode about one-third of it. This year’s cuts included items such as: $25,000 for pond management in Pembroke and $50,000 for the replacement, installation, and improvement of the Minnechaug Regional High School athletic field in Wilbraham. The Massachusetts Taxpayers Foundation, a business-backed budget watchdog, estimated the cost of local earmarks accounted for roughly half of all the vetoes, or about $26.4 million. But Baker also took a red pen to policy sections. He proposed rewriting a provision that would have increased the hours that government retirees who are collecting a public pension are allowed to work at another public job, from 960 to 1,200 a year. Instead, Baker recommended bumping the limit to 975 hours. But he also proposed creating an exemption that would waive the cap for public safety personnel if a town, city, or state agency has a “critical shortage” of workers. Another provision would have dedicated $10 million of a budget surplus to the state’s Community Preservation Trust Fund. But Baker proposed adding a $10 million transfer to the Massachusetts Life Science Center as well. Even if lawmakers opt to revert any of the policy proposals to the original language, Baker still has a say. Once the budget is sent back to Baker’s desk, he would have 10 days to review it and could veto each one after the formal session ends July 31. In the coming days, the Legislature could also send the governor major pieces of legislation tackling the opioid crisis, changing the health care system, plowing more money into local education, and taxing and regulating sites like Airbnb, among others. Those bills have been passed by the House and Senate in different versions, and for weeks, negotiators have been huddled behind closed doors trying to hammer out compromises on the major changes. But some might not see the light of day — or dark of night — until late Tuesday as the deadline approaches. Under the rules of the Legislature, final compromise bills are supposed to be released to the public by 8 p.m. the day before the final vote. But in a State House not known for its transparency, at the end of the legislative session, lawmakers frequently suspend the rules and send bills to the governor shortly after the final language becomes public. After July 31, lawmakers will still hold informal sessions and move noncontroversial legislation, but during such sessions one legislator can derail proceedings. The approaching deadline means it will be a whirlwind first week for Spilka, 65. She has indicated she will be pragmatic, while at the same time maintaining the Senate’s liberal stances as it negotiates with the Republican governor and the more conservative House of Representatives, led by Speaker Robert A. DeLeo, a Democrat. The Ashland Democrat took the reins after months of Senate tumult, pledging “to uphold and maintain the integrity of the Senate,” and focusing on education, veterans benefits, and adding a third gender option to state IDs in her first remarks in her new leadership role. Standing before her fellow senators and top political leaders at the State House, she emphasized Massachusetts’ essential nature as a Commonwealth, where our shared futures are intertwined. “Here in Massachusetts, we tell the story every single day that caring for each other works,” said Spilka, who had served as her chamber’s budget chief. CORRECTION: An earlier version of this story incorrectly described the governor’s proposal for the Massachusetts Life Science Center. Joshua Miller can be reached at joshua.miller@globe.com. Matt Stout can be reached at matt.stout@globe.com.